Let's set aside Trump's collusion case with Russia for a moment to take a look at another unfolding case of collusion. This time with Israel's embattled Prime Minister Netanyahu. Like Trump, Netanyahu is being investigated for corruption and abuse of power. In three weeks Israel will hold national elections that will either boot him out of power, or will give him another term. With this in mind, consider yesterday's surprise announcement by Trump that he was overturning a longstanding US policy (52 years) regarding the Israel-occupied Golan Heights. This comes after a year of lobbying by Israel and some senators like Cruz who was drawing up a plan to legitimize driving the Palestinians out of the Golan Heights, despite the stance taken by the rest of the world. But there's more. Netanyahu is scheduled to join Trump at The White House just before April 9th, when his country's elections take place. Why? It's kind of obvious. Because he wants to double down on getting Trump to formally recognize the Golan Heights as part of Israel prior to the vote. He needs something concrete to win the election. 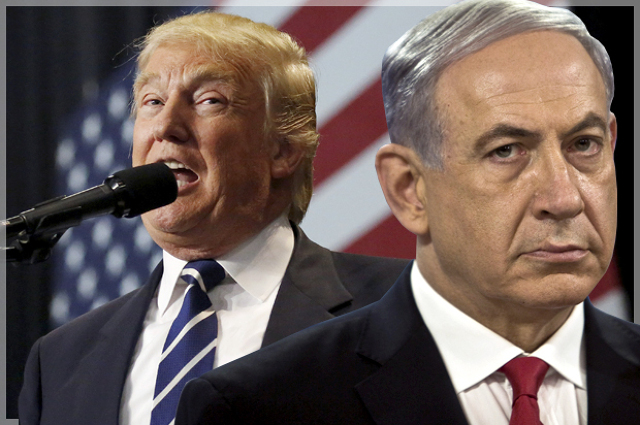 Netanyahu's counting on Trump's popularity in Israel to give him the edge it'll take to overcome his shady dealings on election day. I agree with former US Defense Secretary Leon Panetta who recently said, "...the move raises a lot of concern, and it's difficult to not see this as an attempt to buttress Netanyahu's chances of remaining in power." As Panetta noted, "It's hard not to put two and two together." It's also not hard to see where all of this will end. Trump is colluding with another authoritarian leader for mutual benefits. The next question is what is Netanyahu giving Trump? A Trump tower in Jerusalem? Some habits are just hard to break.